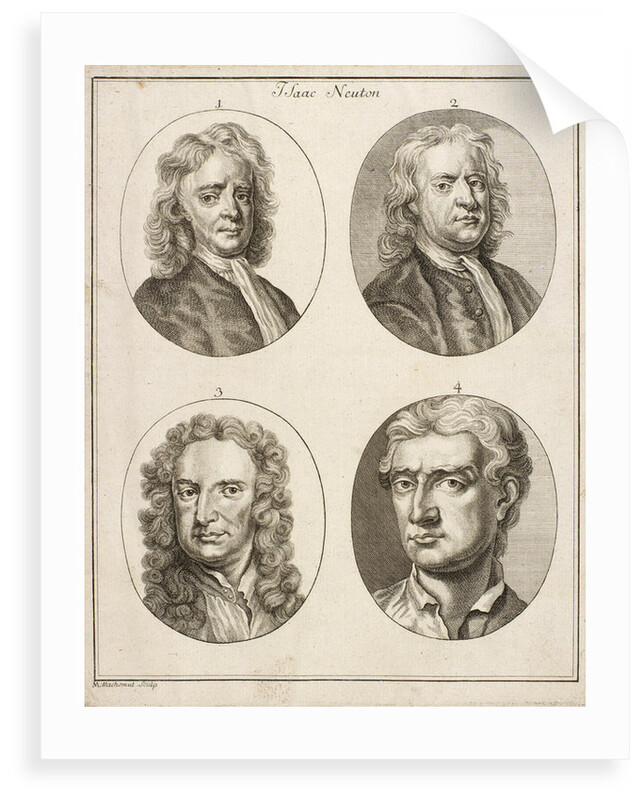 Four head and shoulders portraits of Newton, numbered 1-4 and inscribed "Isaac Newton M.Wachsmut Sculp". 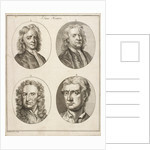 After portraits by Enoch Seeman, John Vanderbank, Godfrey Kneller and John Faber. 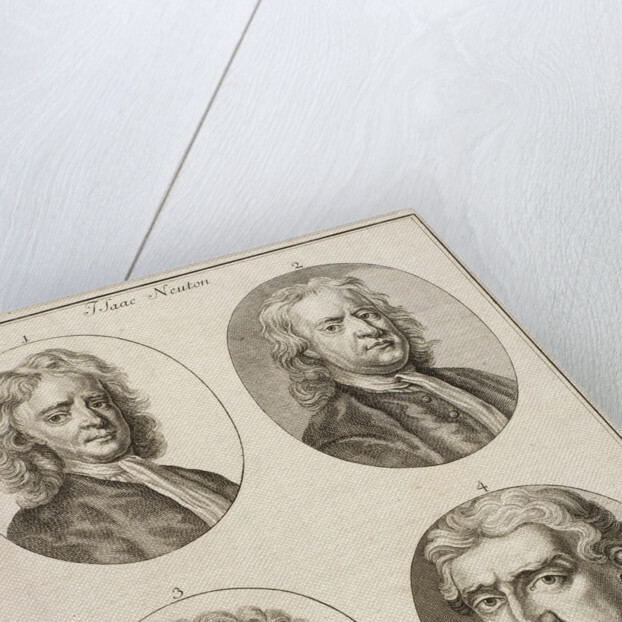 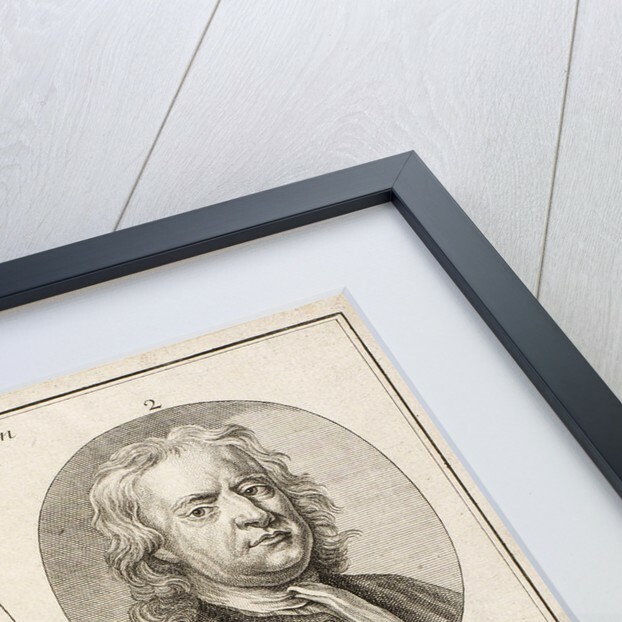 Isaac Newton was elected a Fellow of the Royal Society in 1672, he served as its President from 1703 to 1727. 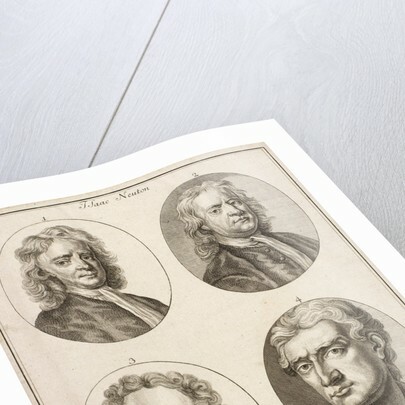 More by the artist M Wachsmut.